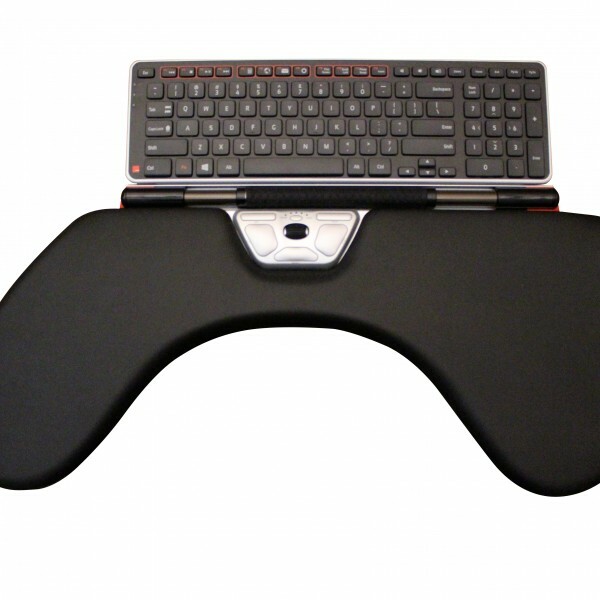 The perfect partner. 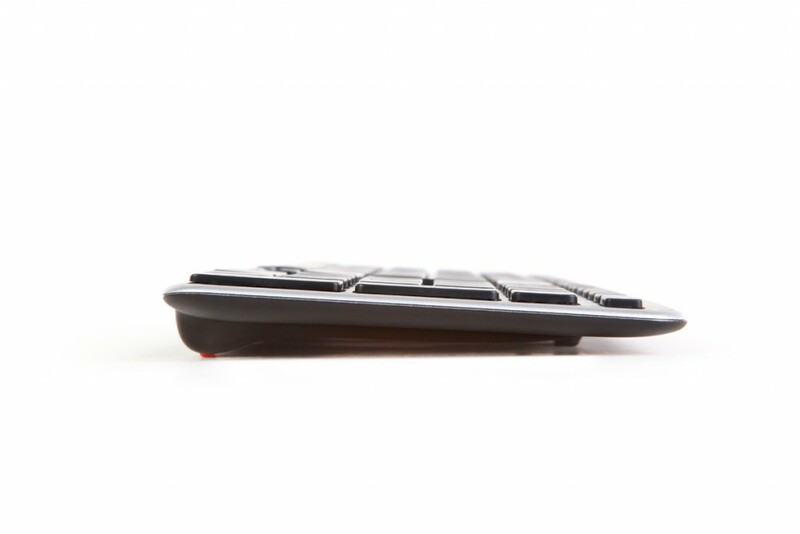 The perfect fit. 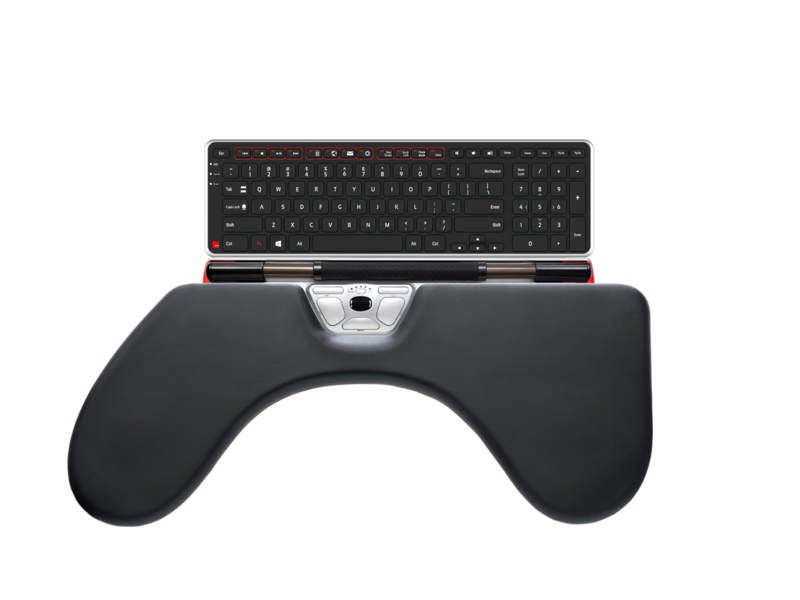 Introducing the Contour Balance Keyboard, a wireless keyboard specifically designed to fit RollerMouse Red and RollerMouse Free2. 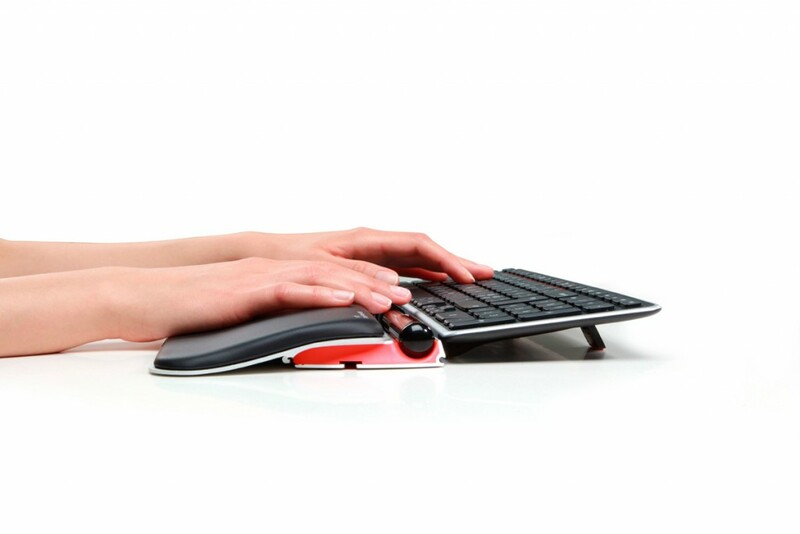 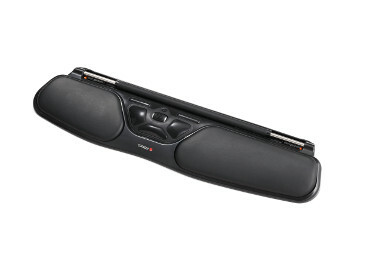 Combining the Balance Keyboard with a RollerMouse puts hands in the perfect typing and mousing position. 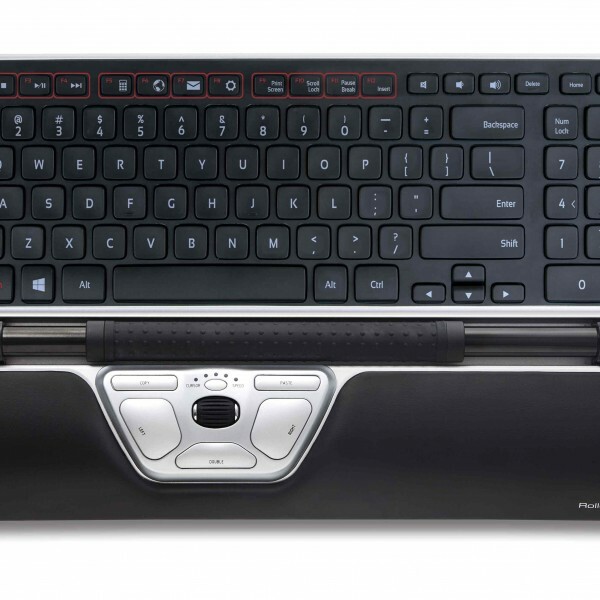 Designed specifically for use with the award winning RollerMouse family, the Balance Keyboard positions users in an improved, stress-free position while getting the most out of the keyboard and mouse. 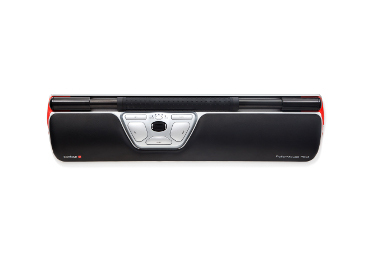 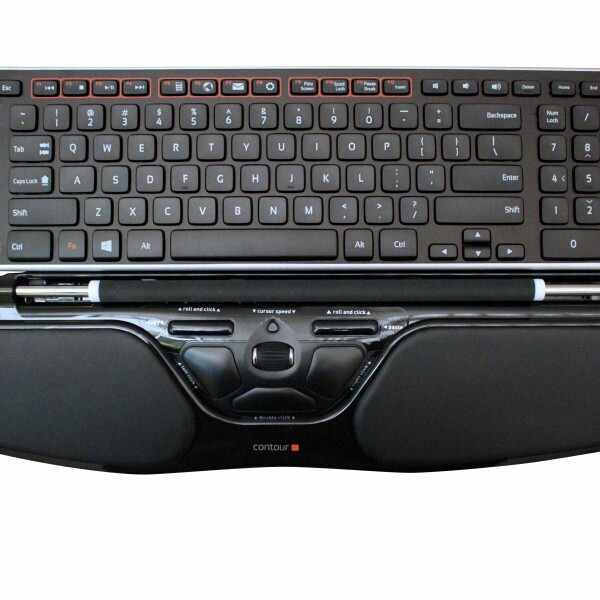 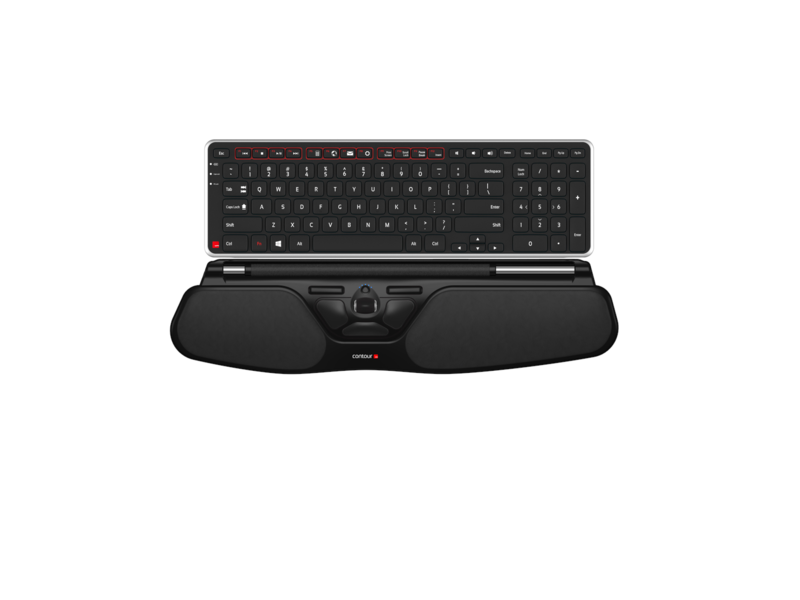 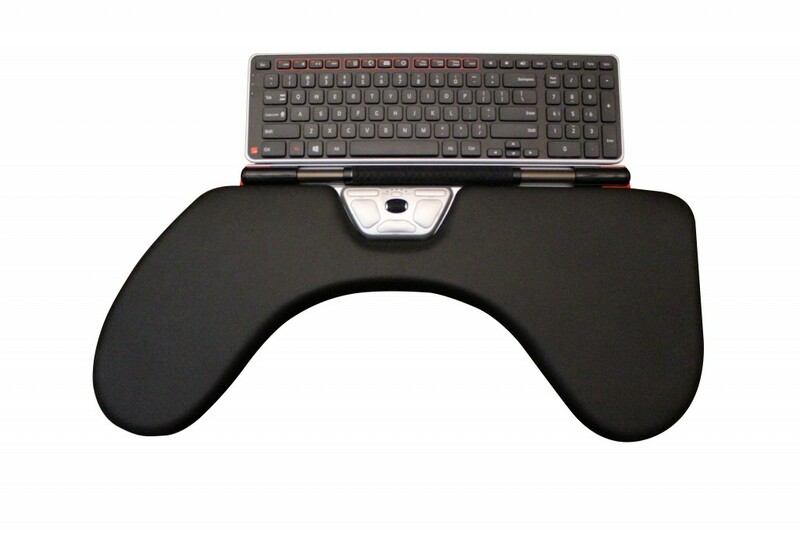 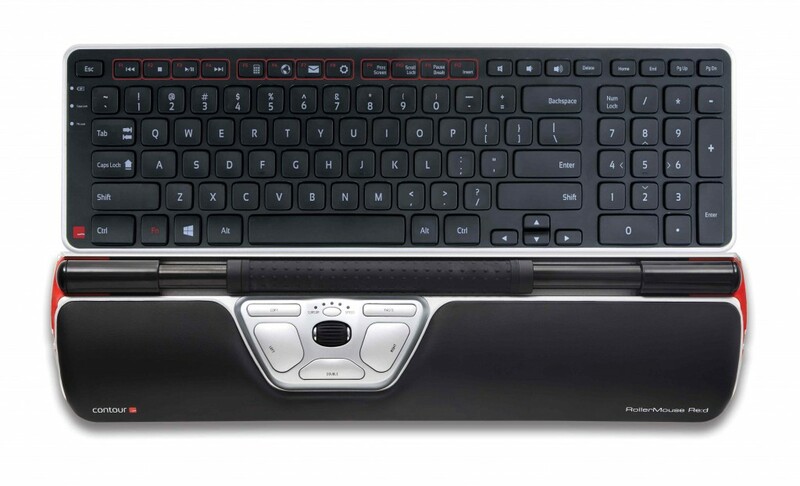 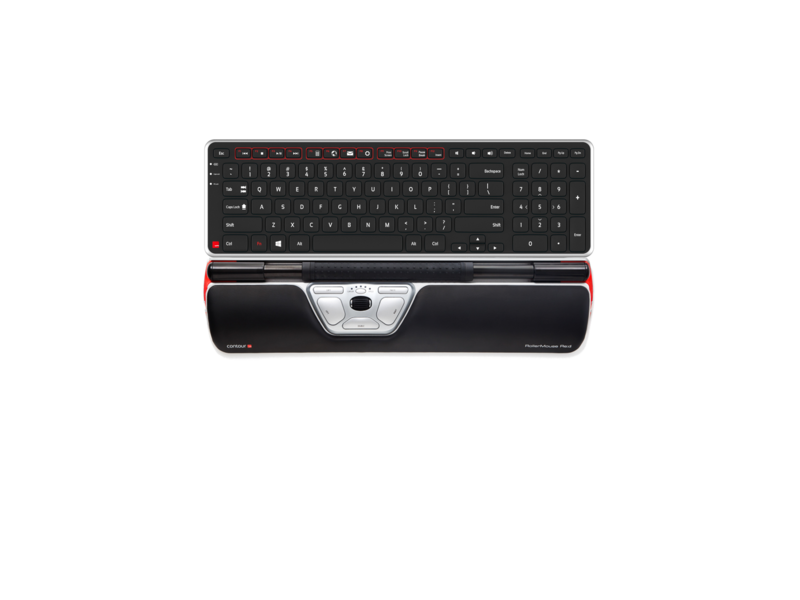 Using the Balance Keyboard keeps hands closer to the action and within reach of both the rollerbar and keyboard keys. 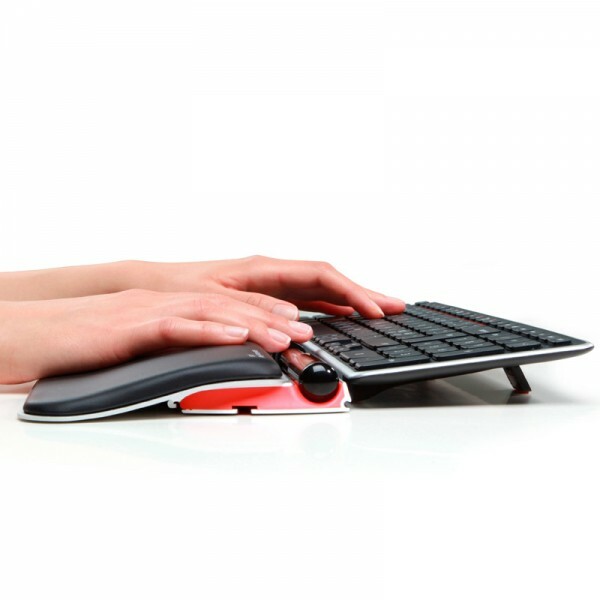 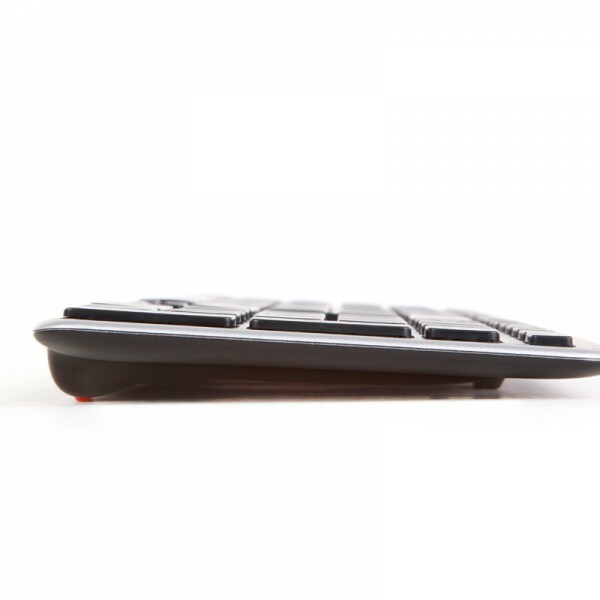 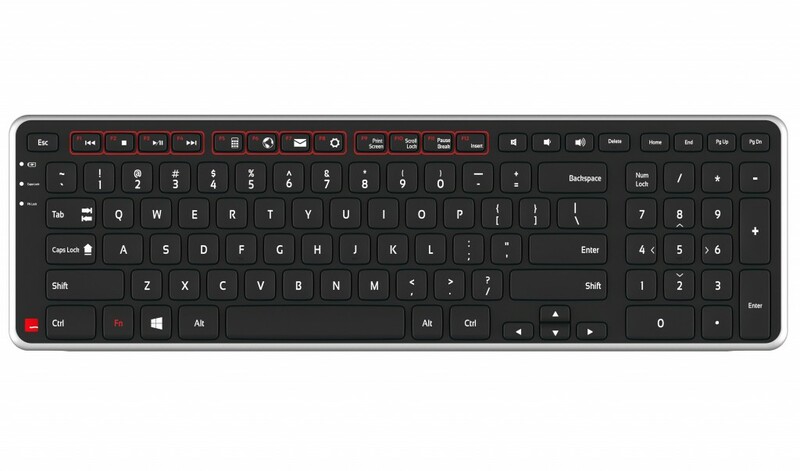 The Balance Keyboard’s media keys perform useful everyday tasks and can easily be programmed to suit specific needs. 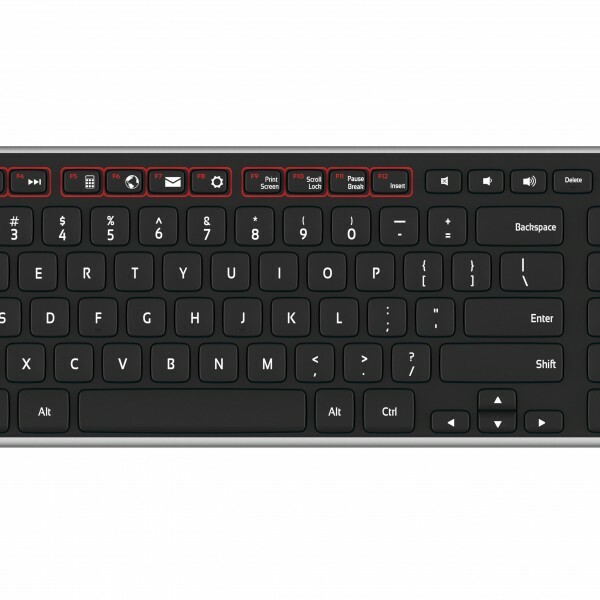 Traditional function keys (F1-F12) are also available, and the Fn lock feature makes them readily available when needed. 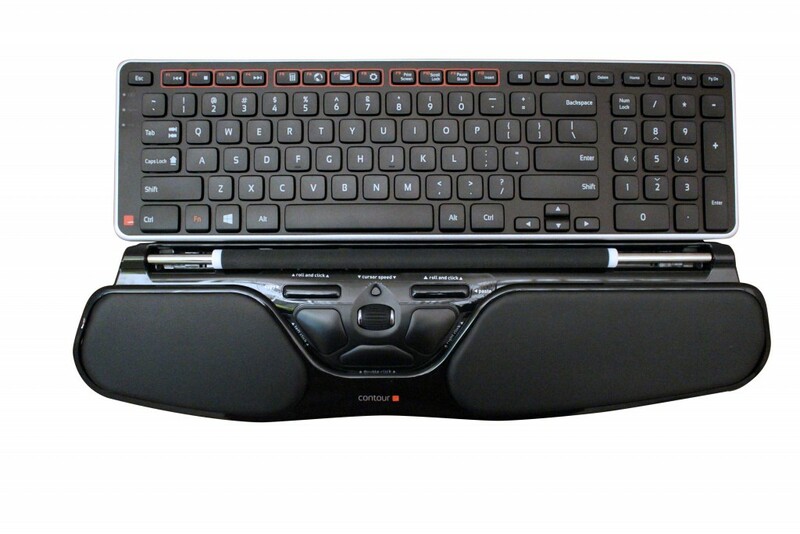 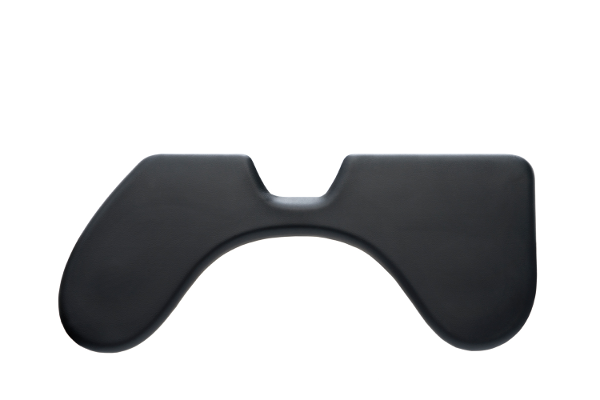 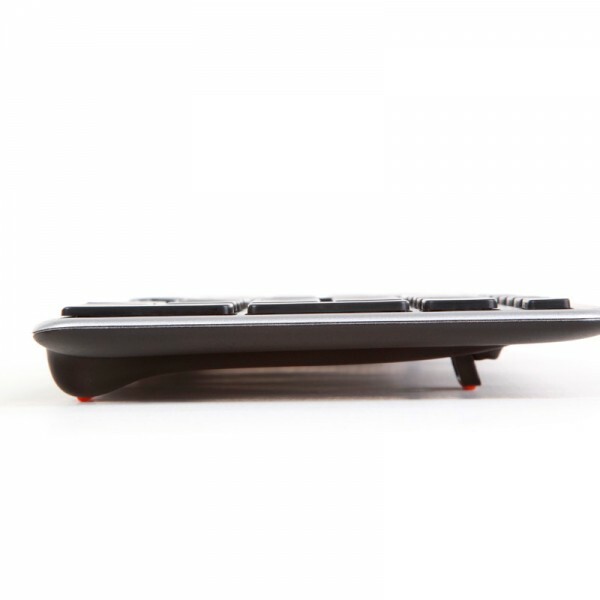 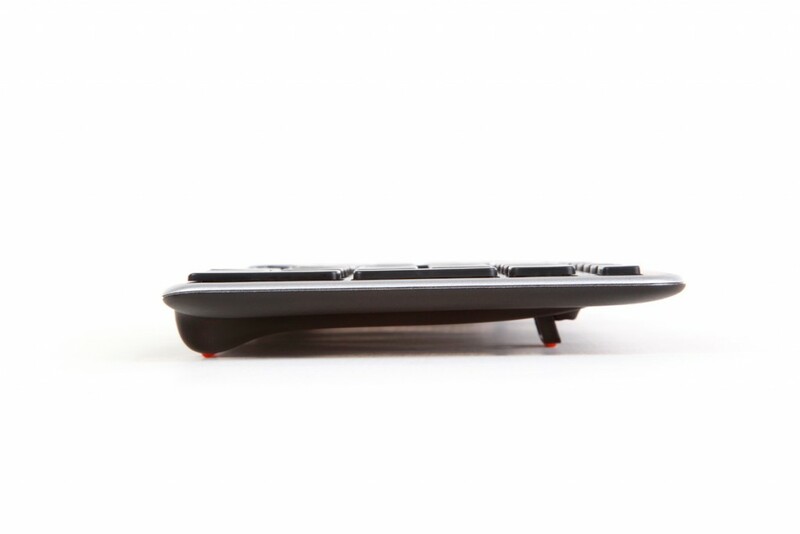 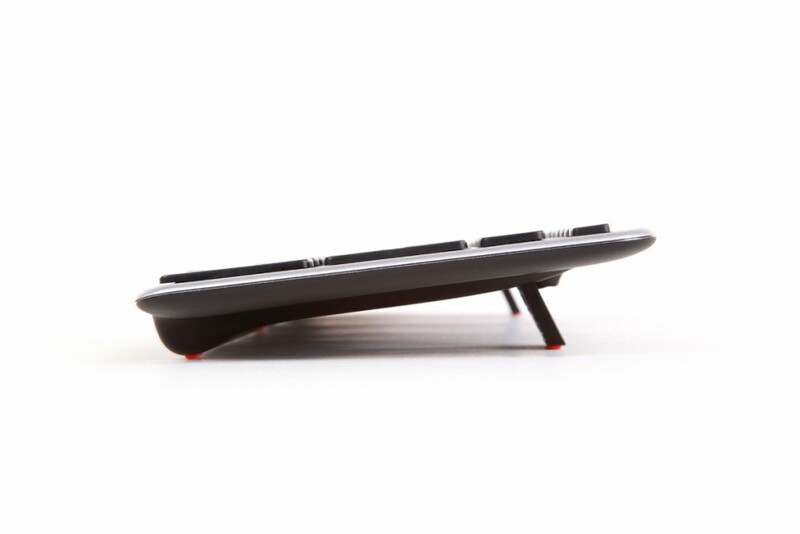 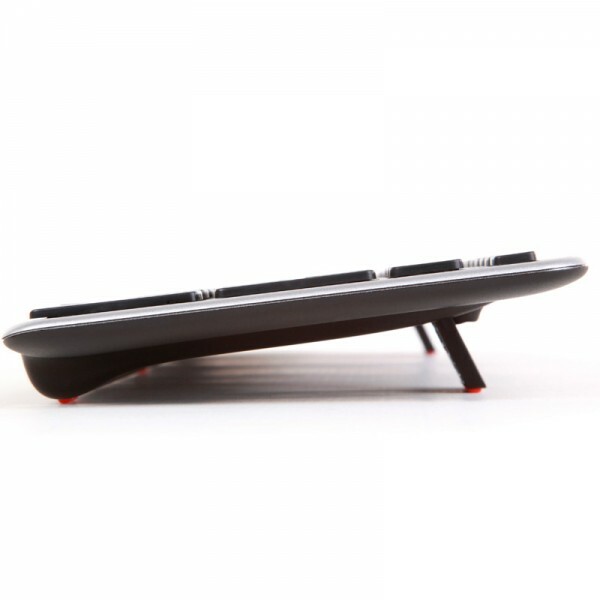 The Balance Keyboard’s adjustable legs and tilt options allow for negative, neutral and positive typing angles.